YG Entertainment has recently surprised fans by announcing that there will be a second boy group debuting from their popular survival show, ‘YG Treasure Box’. The announcement came shortly after YG had revealed the seventh member of their newest boy group TREASURE. The second group will be comprised of six members. 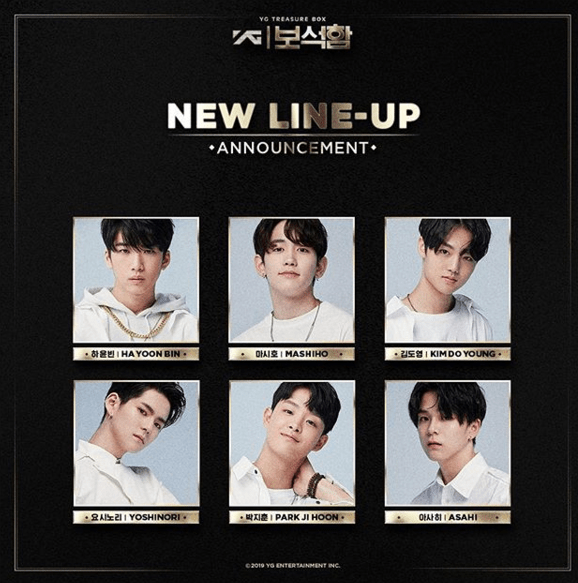 These include Ha Yoon Bin, Mashiho, Kim Do Young, Yoshinori, Park Ji Hoon, and Asahi – who was revealed as the sixth and final member of the group on the 4th of February. Their group name is Magnum. Congratulations to the six new members of the group! What do you think the new name for this group will be? Are you excited for their debut? Leave your thoughts below! Treasure 13’s Dance line teases us with a choreography video drop!